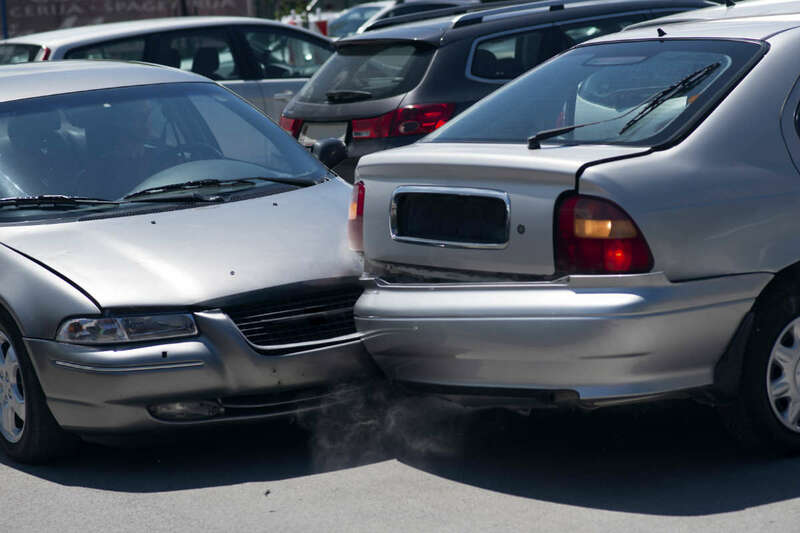 Settling liability in an accident in a parking lot can be a tricky task; however, there are certain common accidents that occur in which liability can be easily proven. Most drivers are cautious while driving in a parking lot and they drive slowly. However, a large number of car accidents take place in parking lots as there are too many cars moving in different directions at the same time in a cramped space. The absence of defined driving lanes in parking lots also adds to the confusion. Drivers who are backing out of a parking lot are supposed to back out just a little so that they can see both sides of the parking lane and check if they are clear. When it has been ascertained that both sides of the parking lane are clear of any oncoming vehicles, the driver should back out completely. A driver may fail to take this precaution and pull out without warning, causing a collision. In this scenario, the liability will rest with the vehicle that is backing out unless the other driver was speeding recklessly. If a motorist pulls ahead from a parking spot and collides with a car coming down the parking lane, the liability for causing the accident may rest with the driver of the car pulling out ahead. The rules of the road give the right of way to the vehicle proceeding straight and the vehicle pulling out must wait for other vehicles to clear. A motorist in a parking lane comes to a halt suddenly and there is a rear-end collision. A driver who rear-ends a car is generally at fault as he or she is required to drive at a safe distance and should be prepared to stop if the car ahead stops suddenly. Parking lots are no exception to this rule and drivers should be even more careful in parking lots due to the movement of too many cars in a small space. A driver turns suddenly in front of an oncoming vehicle to get a parking space. While driving, you are not supposed to make a left turn when there is incoming traffic from the opposite direction. You are supposed to wait until the traffic is clear and then only make the left turn. The same rule is applicable to parking lots. A collision which results in such a scenario is attributable to the driver of the car trying to get into a parking spot. This accident is quite common as both drivers are trying to make the same maneuver. The drivers may back out slightly and check that the parking lane on both sides is clear; however, they fail to check their rear and end up colliding with each other. Both drivers are equally at fault for this accident. Driver distraction is a growing concern in parking lots. According to a National Safety Council (NSC) poll, two out of three drivers in parking lots are actively distracted when driving. The NSC has found that as many as 66% of surveyed drivers admitted to making phone calls while driving through parking lots, and another 56 percent admit to texting while driving through parking lots. Considering the fact that so many drivers are distracted in parking lots, the NSC has urged both drivers and pedestrians to be extra careful and be aware of the surroundings this shopping season. They have also urged people to avoid all distractions while driving in parking lots. Our St. Louis car wreck attorneys explain that parking lots are a lot riskier than most of us think. Each year, more than 50,000 auto accidents take place in parking lots and parking garages resulting in over 60,000 injuries and around 500 deaths. With the overall increase in traffic deaths across the nation, the NSC has warned that risks in parking lots could possibly increase each year. It is important to note that drivers are not the only ones who are distracted in parking facilities, pedestrians are also. In the time period between 2001 and 2011, around 11,000 pedestrians distracted by their cell phones suffered serious injuries in traffic accidents. Last year, pedestrian deaths increased over the previous year to the highest total since 1996. NSC has urged drivers to utilize onboard systems to prevent distractions. The NSC poll shows that 63% of parking lot drivers use GPS systems while driving. To counter this, the drivers should program their destinations prior to departure. Each year, as many as 51% of parking lot deaths happen when drivers are reversing. NSC suggests using backup cameras and taking other measures to look out for other drivers and pedestrians. These simple steps can go a long way in preventing crashes and injuries. If you or someone close to you has been injured by a distracted driver in a parking lot during this busy shopping season, you may be entitled to recover compensation for medical expenses, lost wages, and pain and suffering that resulted. It is important to seek help from a St. Louis personal injury lawyer, who can protect your rights and get you the full amount of compensation you are entitled to. Call us today at (314) 361-4242 to speak to an experienced attorney at The Hoffmann Law Firm.